After the stormfront moved through on the 31st, its accompanying high winds at the ridgetops downed many power lines in the mountains, and our neighborhood was without electricity for 32 hours (right through the New Year moment!) Not a problem, though: our gas-powered generator, propane stovetop, and living room woodstove carried us through just fine. 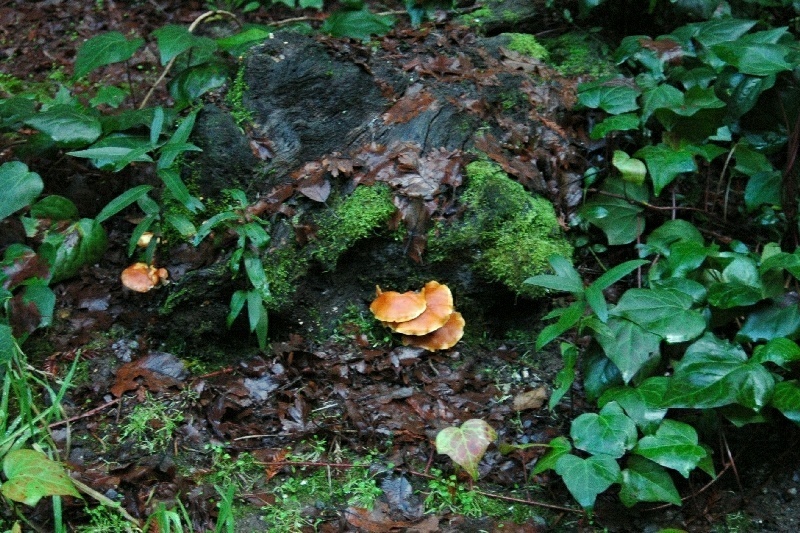 The storm's water and subsequent occasional sunshine provided an ideal combination for a proliferation of colorful fungi, too, so the weather wasn't without its benefits. This is a little stump in our front yard.